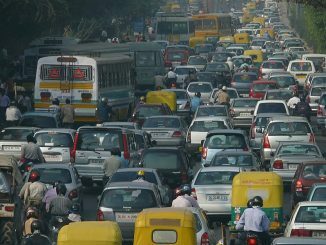 For many in Indian cities and towns, it is not unusual to open their doors to an unwarranted pitch by a salesman for a product or service newly launched. 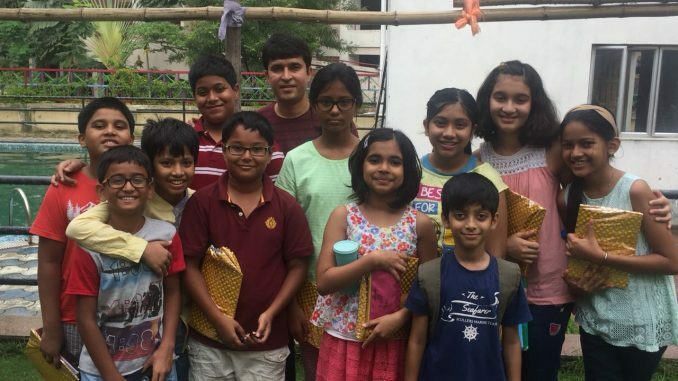 However the Dutta family, living in Eastern High, a multi-tower building complex in Newtown Kolkata, was in for a pleasant surprise when they answered the doorbell to find a group of 10-12 year olds, explaining ways of saving electricity at home as well as in the building premises and urging them to follow those steps. As you look around the building complex today, you find several creatively designed posters depicting easy ways of saving electricity and the environment. All these have been the outcome of a summer educational project on the theme of “energy saving” undertaken by kids living in the housing complex. The project was based on the premise that engaging young ones to solve a social problem triggers keen curiosity in them and helps kindle hidden leadership skills, while encouraging adults to actually learn from the children. 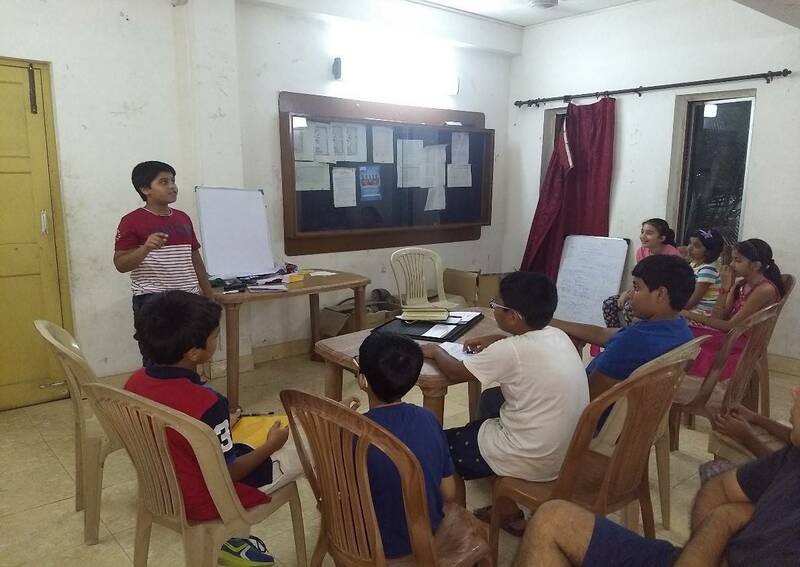 With the objective of inducing a cut in electricity consumption by 5% within apartment premises, the kids were divided into three-member groups – each group allocated with ownership for one of the many multi-storeyed towers in the complex. 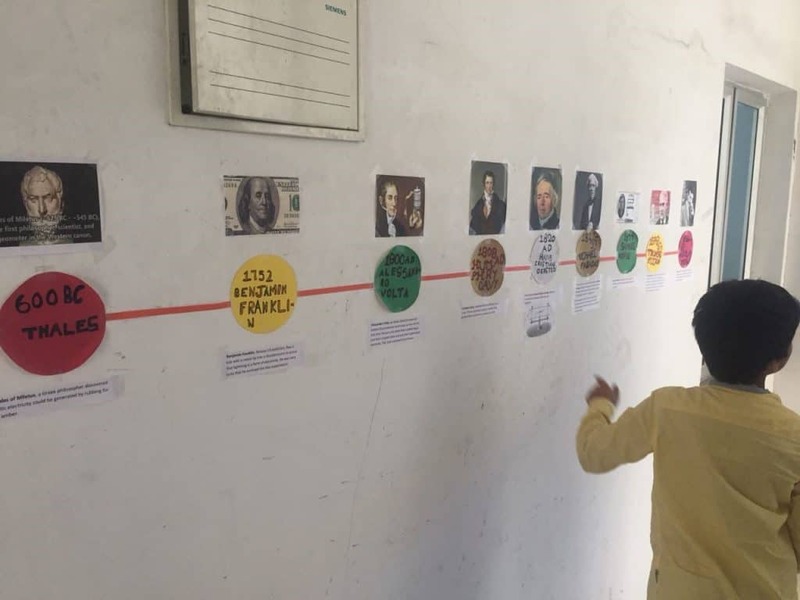 The 15 kids aged 9-13 years, who participated in the month-long summer project, were initially instructed on the context through engaging discussions, guided self-study and student-driven classroom sessions. 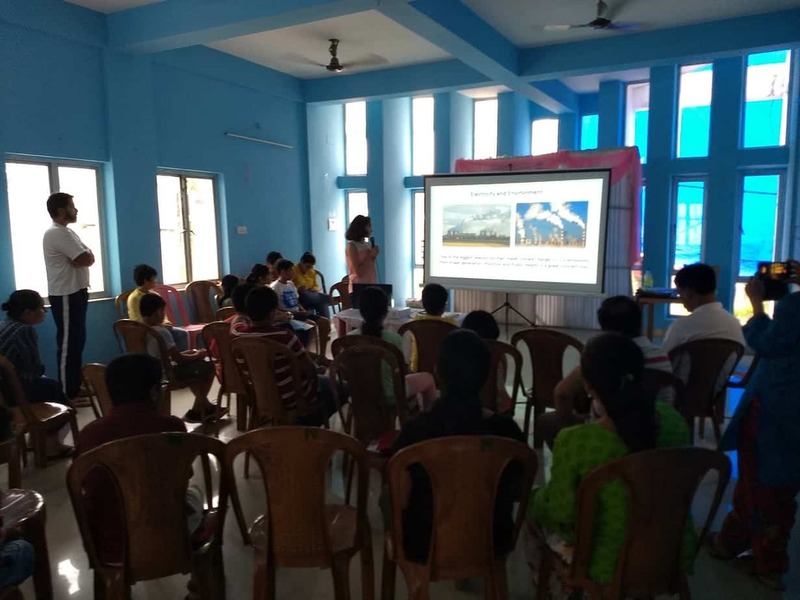 The context included a broad range of topics covering the history of electricity, process of electricity generation, uses and impact of electricity usage on environment etc. 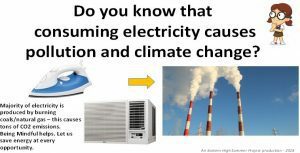 For many others, including for 12-year old Sinchan Gupta, “electrical appliances have now started to make much more sense and we now understand that an electric iron or an air conditioner consumes far more power than LED TVs and ceiling fans”. Armed with the context and knowledge of electricity saving, the teams were given the task of observing the energy usage pattern in their allocated tower. Over a period of one week, the teams repeatedly took meter readings to understand the daily cost of electricity in their tower; they observed residents’ patterns of lift usage (or taking stairs), illumination levels in the common garage areas etc. 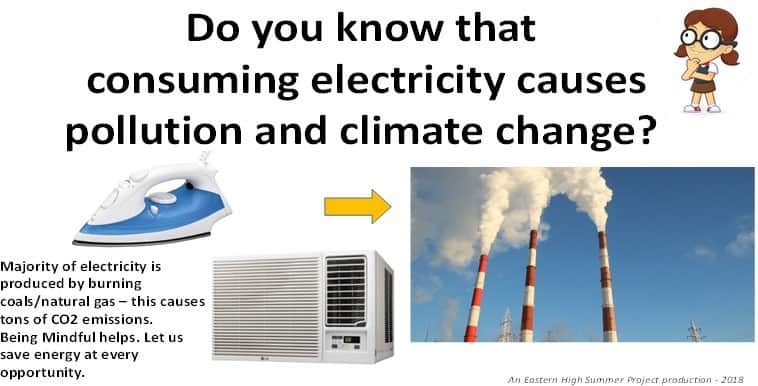 to identify energy conservation opportunities. The teams then drafted the strategy to be adopted for the energy-saving campaign to be conducted over the following weeks. A majority of the groups engaged in a door-to-door campaign and used postering as their key campaign tool. Some went the extra mile by adopting the ‘show-the-way’ approach to help implement energy saving steps right away. Ritika Saha, who was leading a tower team, says, “As we engaged deeper in the project, we started using stairs much more frequently; we know this is good for our health as well as for our planet.” The Class 7 student also points out, “We do not generally connect water usage to electricity, but having clean water at the tap takes a lot of energy; hence, saving water also became one of our key pitches in the door-to-door campaign. I have personally kept a close watch on the kids’ activities in the building complex and have noted that door-to-door campaigning brings out the best of communication skills in these kids, as they interact with strangers and try to convince them about something in just 4-5 minutes. The entire programme was carefully designed to hone a range of real-life skills such as creativity, team play, leadership, keeping the fun intact even as we nurtured the social quotient in these kids. The entire programme culminated in a final presentation by the kids in which parents and other residents participated. The day was bustling with creative activity as the kids explained the history of electricity through a timeline of events (they called it the “History of Electricity Museum”), taking us all through complex concepts of power generation theories in the simplest language. The kids urged all to be sensitive towards usage of water and electricity. For me, as project designer, this has been an immense learning journey with lots of takeaways for possible future projects. The job of a teacher is to trigger curiosity in students’ minds and I would like to see kids take part in more such programmes in the future. Once they land on “Curiosity Lane,” – which is how I view the objective of such initiatives — they will not merely be a consumer of knowledge but a producer of knowledge too. The future will then teach the present! An electrical engineer, Biswajit Majumder works in a senior role in Tata Consultancy Services. He is passionate about energy and environmental issues and runs multiple social programmes to engage citizens, especially young students, in green initiatives. A landmark judgment for the nation, yet another civic disaster in Kolkata, new civic rules for Mumbaikars and Delhi’s monsoon disease burden — catch your weekly dose of key updates from our cities over the past week. 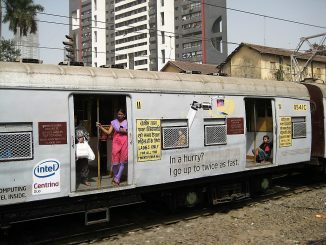 The practice of reserving a certain number of seats for women on trains and buses is prevalent across cities, but continues to be questioned by many, including women. 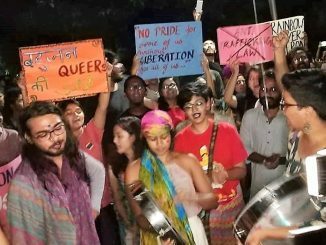 Navya P K weighs in on the reality of such reservation and its necessity. I am impressed by this project of children who are as old as my grandson. I would certainly tell him this story of success.